Finally, it's nearly time for Berk's Grapevine's annual Secret Odin gift exchange! If you're new to Secret Odin, it's essentially a dragon-themed Secret Santa where participants with similar interests are paired up and exchange gifts with each other. Keep watching Berk's Grapevine if you're interested in participating this year, as more announcements will be coming soon! Whee! Go Dragons! This is awesome! awesome, finally a well diserved award. Sounds? ZOUNDS! It IS awesome! Ugh, ah ha ah ha ha. Haa! Hehe! Neither was I! But along the way, something amazing happened. Just a comment below. Honestly, The Lego Movie deserved this award way more. It had much better writing, better pacing, better characters, more interesting ideas, way funnier jokes (admittedly, HTTYD 2 is no a comedy), and the two are roughly equal in animation. Even the animation is more interesting in The Lego Movie, trying more new ideas and doing things that had rarely, if ever, been done before. HTTYD 2's animation is excellent, but it's much more evolutionary than revolutionary. HTTYD 2 is a good movie, whereas The Lego Movie is just shy of being a great one (really, one little change would have done it, but that's another matter). Of course, looking into this awards ceremony doesn't exactly make me see it as the pinnacle of sense or integrity, so I probably shouldn't have expected anything more. Anyone else think the Book of Life should've gotten the award? I haven't seen that film. It looks promising, but the reviews suggest that the story is a little bit weak. At any rate, I thought it best to stick with the films I know, since there is a better film than HTTYD 2 just in that list. The film wasn't trying to be a really strong story I think but it's the execution that really sells it. It kind of reminds me of HTTYD a little bit meaning on paper it doesn't look great but when you get to watch it you'll see there's a lot more too it. And both of the films have some hilarious moments and fantastic visuals. "Pft! I'd love a mug. with a Holiday egg in my helmet." "What in lieu with Odin would I better be blamin' for allowing this abominating moment of bashy-ball to happen right next to my Valkrye bash?!!" (Me/Snotlout, meekly with burnt yaknog mush-viscously sliding down face): "The egg exploded." Go Dragons! Am I the only one wanting a Dragons 2 Snoggletog special? I mean, it could be before Dragons 2 but I would love to see Hiccup and Valka celebrating one together, how Hiccup would deal with Stoick not being there and so much more. There's an endless list of possibilities. Maybe Hiccup helps Astrid perfect her Yaknog recipe. You know, the Eggnog we drink today kind of consistency. Eret being welcomed and in awe/confusion at the traditions. Yes! That is exactly what I was thinking. So I'm not the only one! Today we had fog in the morning, cool and breezy weather plus humidity (which feels so perfect that it's shocking... and wet), and sudden jolts of rain every four minutes. Weather here is impeccable in it's timing to avenge Thor for something so random that we don't really bother to ask if it will rain. We'll ask if it's cold tomorrow, but "liquid sunshine" is almost guaranteed since I've been here. That, and we now have a cold front storming at our door. AAH! I've made it to the dark-indigo level 5 of the Dragon Challenge Card Game! I've been on it since just one day before I joined the vine, but enough of that exposition! In celebration, I made chocolate yaknog patches! Each patch is like the size of a scuttleclaw's claw so you can- and I know I'll probably anger anyone on a flu season diet- stay awake for days slurping the side effects! (screams) And just in, a painful message from Cedarain... he fainted. Tuffnut: "Are we supposed to do something about that falling puny force of fire?" Ruffnut: "Nah, just leave him. He likes it. Me: "Could a celebration with yaknog get any worse?" Wouldn't yak milk, eggs and fudge give us...chocolate yaknog? I don't even drink eggnog and occasionally fudge (the aromas of the fudge parlor blend every wrong flavors together no matter where in the room it is). Anyway, there's lots more story to tell. And with the possibility of HTTYD4 out of the way, I think the series could use a little focus on that returning chief aspect. It's just like the first season: the movie ends by showing Villagers and dragons perfectly together, then the show starts by immediately addressing the problems. If there's another time jump, then I really hope they don't end up leaving the ending of HTTYD2 to celebratory. There are issues we all want to see addressed, and even though we're saying show the grief in the midst of a holiday special...uh, can we see the other parents, too? But after GOTNF, I'm sure they can work Hiccup's dilemmas in without making him exclusively miserable. Come on, pass a good cup of cheer! Hey DreamWorks, check this new beverage we're incepting in our holiday kitchen: Snoggletog special number 2! With Snoggletog songs by Craig Ferguson, David Tennant and Mary Jane Wells! That's a very 'heartful' and 'so-true' speech, Stoick! Out of topic, but did your SoD Viking character ever send join request to Fearless Alpha? Well, we don't know what we're missing. Honestly, I don't wanna know either. The level 5 Scarce Screaming Death and Perplexed Hideous Zippleback are now available in the Dragon Challenge Card Game. Now there are 50 cards to earn instead of 48, not including the four locked cards (That Powerful Toothless card, cost 999,999 is gonna take me at least 15 months to get!). Way to go Gerald! We'll be ready be ready for you guys to come back three years from now! And we will be ready for another attempt to put Hiccup and the gang out of business once and for all. It would be cool if one of the Level 5 cards was a Bewilderbeast. Or a Stormcutter. I got the movie on DVD and I am driving my family crazy watching it 24/7. It comes with Fishlegs' Dragon Stats, which is really cool. I thought it might, but in competition that wouldn't be fair. Even though the Terrible Terror doesn't stand one chance against any dragon except itself and it's still in several levels. The first ones I got from level five were the Speed Stinger Alpha and the Fireworm Queen. But the challenges are all stuck on Speed Stinger Alpha right now, and few dragons can compete with a Speed Stinger. The Toothless card is the last one I need to earn before unlocking the 4 mysteries. How I disdain the 3-challenges-a-day limit. Even more so the time changes. I have to wait till at least ten thirty at night for the new round. Bummer. YEEEAAAAHHH, I still have to acknowledge how that would not blend right in to their universe. What I'm saying is all that ghost stuff would not work here. If Vikings came back as ghosts, wouldn't we have had seen Thor and Odin (in a serious matter, not like in the Legend of the Boneknapper)? Wouldn't it have confirmed Valka had to be dead in the first film? And while it'd be great to see Stoic seeing his son become chief, we still have two more seasons of Stoic telling Hiccup "You're goin' to make a great chief some day" along the way, so it services. As for ghost-spirit-Viking, I'm sorry, but the closest HTTYD ever got to have one was in the "Dragon Book" reading scene in the mead hall from the first film. So when do the Dane Stogner Q&As arrive? I just wonder what the flashback may be of, and if the characters in it will just grunt or say something intelligible. Hopefully the latter, because it would give Stoic a few more words to speak. I want to buy the DvD for that extra! I've seen the Scuttleclaw stats with Fishlegs narrating it. Are Timberjack and Thunderdrum mentioned too? Raincutter, Hobblegrunt and Snafflefang as well? Let's see what happens three years from now. But like I said, journey's end is already in the air. By the way, do you want to know something? When Stoick's death scene happened, I was thinking of Celine Dion performing My Heart Will Go On from Titanic at the 1998 Oscars. I'm actually about as old as that movie, but have only seen it once or twice when it aired on TV. We have the double-VHS, which I think is still unused. However, I did see clips aplenty of it along with its numerous references in pop culture. It's not surprising that someone was thinking of Titanic when they saw Stoic's Ship. When I first heard the track for that scene (before the movie was in theaters) I kept thinking it was the Berkians returning home on a ship. That everyone in the movie was constantly moving back and forth between Berk and the unmapped territories. Only this boat ride would be a slow stride in which the Berkians were on the losing side. And as the bow of the ship breaks through the fog, a glimmer of hope resurges as the invaded Berk towers above them. The whereabouts of the good Alpha were unknown by this point, so it still could have fit in because that Alpha did in fact get killed before they board ship/ bury Stoic. But now we know Stoic died, and they returned to Berk by riding on the Scuttleclaws. But by the time I entered the theater, I already knew Stoic would get killed, just not how. Someone had forgotten to write "(spoilers)" in their youtube comment. For some reason, my second viewing was more emotional. The burning at sea felt well-intricated, and I consider it a very unforgettable moment. But what I remember most is Hiccup, in what may be Jay Baruchel's best performance in the role. As he confesses to the burning bit of bark in the foggy ocean, we see the back of his head surrounded by a halo of the distant fire. It was as if the final shot of "Test Drive" was stopped, and this was where it lead to: his destiny. And it will be intense. The bumpy ride through the canyons is not over yet. I was thinking it because of it's similar tragic mood. It was. I just wish I had more to say about the other Berkians, how Snotlout, Astrid, Fishlegs, Ruffut and Tuffnut were reacting to the burning ship. At a younger age, I would have done everything I can to preserve Stoic, so that a physical representation of him in their memory was always present to them. Like keeping old antiques in an attic so the next generation can come in and you can share your memories of the antique with them. Now I'm kind of fastinated by the dead of being cast out to sea after death. Something about it feels more epic than stealing what's left of the underworld for an eternal bed (c'mon, we've gotta run out of room for land graves at some point), to say the least. It happened too soon and nearly caused Hiccup and Toothless bond to collapse. So you got to remember a bit of the decade you were born in! Do you remember what the new millennium was like? My only account of that new year was when I saw a commercial for the Disney World Epcot Celebration of the Tarzan VHS (in which a boy grabs a star and shows it to his dog from under the blanket before being transported to the parade to meet Mickey Mouse and shake hands with some figure walking on stilts). Yeah, I was born at just the right time to experience what nostalgia felt like way before I was old enough to look back on childhood years later. Well, that and incandescent lighting always had this loneliness and homeliness to it that many of others might associate with fireplaces in a northern cabin house belonging to a single young adult. Those feelings have always intrigued me, so anything with that feel is special in my eye, especially as those lights are being removed from the modern lamps. I'm sorry. I get really into it when I think of those representations of nostalgia, how I learned what it felt like at far too young an age. I'm just wondering what everyone was thinking when the millennium began. Do you remember it? What was it like? Sometimes I forget the battle scene was more that six minutes long. I have a habit of forgetting battle sequences in any movie for some reason. All that mattered was what happened. But this aftermath, even then, still felt sudden. No one was expecting Toothless to kill him, but when those eyes stilted, we knew a death of a Haddock was inevitable. All the while, we all muttered, "No, NOOO!" And then it happened. I can't remember what pose Stoic was in as he took the fire, only that he died instantly. And I'll give credit to the film for not having him a dying word. It's even more tragic. And to see Valka realize what Stoic saw in Hiccup just during the Eulogy was a dramatic moment that felt perfect. "You have the heart of a chief and the soul of a dragon. Only you can bring our worlds together. That is who you are." For me it was Toy Story 2, though nowadays I wish that film was longer. Then I noticed how many jokes from my childhood came from John Hughs movies (Max Keeble's Big Move could arguably be a rip-off of several John Hughs classics). I grew up in a time where everyone was losing it. Everyone said originality will never come back, and the 90s will be the last great decade. I refused to believe it, but I've been coming to terms with it recently. But even if Toy Story 2 was the example I put up, I still have to admit that until HTTYD I never had a favorite. I just took my movie viewing experience and repeated it often to take as much from every movie I love as possible, including the mistakes. But I'll still say that some directors of the 2000s should really stop or else FOX will revert to such lazy films as Alvin and the Chipmunks 4 (yes, it is real) for the rest of its life or something. I was never an action boy. In several states, I was the only boy I knew who didn't watch anime or sports or violence. So battles didn't appeal to me nearly as mush as how the characters were emotionally reacting to it. With that said, the shots were cool, but that's an understatement. I think Toy Story 2's villain could have been hinted better, but they all had great moments. It was the kind of third act I would rewind over and over: I loved it. As for Alvin? I don't think a single line from the third movie wasn't copy-pasted on from another movie... or riffed off a random two-year-old song. They didn't need to pander, and it shows my generation will have to grow up with crumbs. I wasn't into musicals as a lad, but I will still complain how there is no original song in the soundtrack. And the corporate man (Ian Hawke of Jett Records) was defeated by a toy that conveniently followed Stuart Little logic (an RC becomes a fully functional roadable vehicle for a mouse)? Besides, they tacked the credits on to the second film as if it was an unfinished film, never resolved Alvin (after Chipwrecked's credit's, he reverts to being a jerk to Dave). Simon was good. And the first film is a guilty pleasure of mine, but the others are so dated. Besides the series is constantly changing directors, and the actor for Ian Hawke himself considered being on set at Chipwrecked was "the most unpleasant experience I've had." With Max Keeble, I never found the DVD or VHS, but I remember how many Disney VHSs were advertising it, so when it did show up on Disney Channel I of course saw it. And at the time I did sort of enjoy it. I still enjoyed Josh Peck years later and the over-the-top princi- SIEZE!-...ple. But then I found that it was panned for being "fun for kids, dull and unoriginal for adults," and I didn't need to look far to find out why. It was in all the John Hughs movies and just about every freshman-underdog story. Few movies understood how basic schools worked, so finding that kind of formula done in a good way is a pain to do. But what was up with the science lab teacher? So confused with it's audience the film was. Besides Tim Hill directed both of those movies, but not before directing the only critically panned Muppet movie (Muppets in Space). After you said five-year wait, I might consider if the actually check the script for the next Alvin movie this time. I find it amazing how my developmental years had hardly any new classics. They all say sequels should be burned from existence, but as long as the creators actually know what they are doing and stay on top of it, I should be fine with installments. (Sighs) It was in the instrumental from the ending of Titanic, wasn't it? Or the opening. James Horner is known for adding Celtic underscores to his music. John Powell used it here when Hiccup and the others burned Stoic's ship. By the way, I forgot to mention that a fan named Alex Sheen, who transcribed the entire first film for piano, actually guessed the track would be emotional. We know now that he was not wrong, and he blogged sorry, for spoiling just for that one post where he uploaded the early sample of the song, which he transcribed a month later, in time for the movie's release. Aside from one more project, he has not been in commission since, and I'm still waiting for him to get back. Well, that song is played throughout the movie. At some point, a bagpipe has ought to've been used. Agreed. I've just been worried ever since DWA was bought by Fox. True, I've mentioned a few Disney titles and I'm still alive! But to judge their ultimate battle, I haven't seen ANTZ yet. As long as it has some good, enjoyable moments I'm fine. Just not when it's a Lifetime movie (I could rip those to bits; their so depressing yet melodramatic and low on production value/ performance at the same time). I'm warming up to the action genre, but I'm still limited to about one movie per season, not to mention upcoming college. Which is a shame because this year felt like the greatest movie year I've ever lived through. Titanic had good cinematography. It's just that the script felt melodramatic whenever it wasn't exposition. I think the saddest part is the song, though (Hymn to the Sea). Oh, and the drops into the ocean (all of them). Because I knew what they've been doing to the other underlings. I've ranted on about how they did everything in their power to make Alvin & the Chipmunks appeal to middle-schoolers by making the film as dated and low-brow-humored as possible with each sequel. (Same with Smurfs, also with the live-action actor performances). The other issue I have is because they have Blue Sky Studios. I liked the first 2 Ice Ages, but the rest was so infested by pop culture and celebrity voices doing child humor. At times, it grows to become as enjoyable as Bruce Willis in an animal suit (from "North"). They simply keep giving money to groups who apparently have no idea when the jump the shark. As for Universal, It's been a while, but they've been well. Well i don't plan to see every movie Dreamworks does under Fox's power. However, what has to happen now is we do our part in bringing the curtain down on Hiccup and Toothless's story in the next movie. To complete the story, and maybe even tie up some loose ends. I don't know, of course, what those loose ends may be bor other fans. After all, some are confused by the logic behind the queen dragon, but I understood it well, so it didn't bother me. Some people still have questions about Valka and Drago, and I hope the dwell into them during the next movie. And Eret and what happens to the riders. I want them in this ending too. If the exploding egg hit Snotlout, I would have wanted one of the twins to say, "Knew he was immune to the Valkryes' punch. Let's make him our making buddy!" And so the years of slapstick ensue. Oh well we can only hope it happens because according to recent reports, Dean Dubois has planned a Toothless centric story that will lead to asking what happened to the dragons. And maybe we'll figure out a bit about the Night Furies. I keep seeing the scene where Toothless drowns and can't help but think there's a big reason why they held on that scene for so long. It's as if they were foreshadowing the next film. I've found the image of concept art in which Forbidden Friendship was probably based. But I looked in and saw the glowing eyes of other Night Furies in the shadows. Unfortunately, messaging on the notifications box and edit won't let me add a picture, so I'll post it when I get down. Hiccup in a cove of night furies, and one peers out. Meet Toothless. I remember. But what if Mildew was right? What if they find the real Isle of Night, and what if they were against other arrivers (why no one saw them)? If Drago finds it, theycome to the movie what Furious the Seadragonus giganticus maximus was to the Cressida Cowell books: Return to the archipelago to end the dragon or human race in what we refer to as the Red Rage. Like I said we gotta do our part but how? I've been lurking here for a year now but never actually posted anything. Time to change that ;) I've been reading some amazing things here and I'm able to keep up with a lot of HTTYD related news, so thanks for that! Anyway, I'm really glad to see HTTYD has been given an award. I'm really happy for Gerard Butler and the rest of the HTTYD team. I already saw this picture. We can only hope Dean Debous can pull off what he has in store for Toothless. I was just hoping we might get something like this. How one fellow night fury merges out of the shadow and reaches Hiccup, wings curving along the streak of light in a somewhat foggy area of sunk earth. We can't use the cove for it anymore, but it's still one of my favorite concept arts from the film. I also liked how they kept Hiccup at a distant shot here because it makes the rest atmospheric, calm and placid yet something's in the shadows. 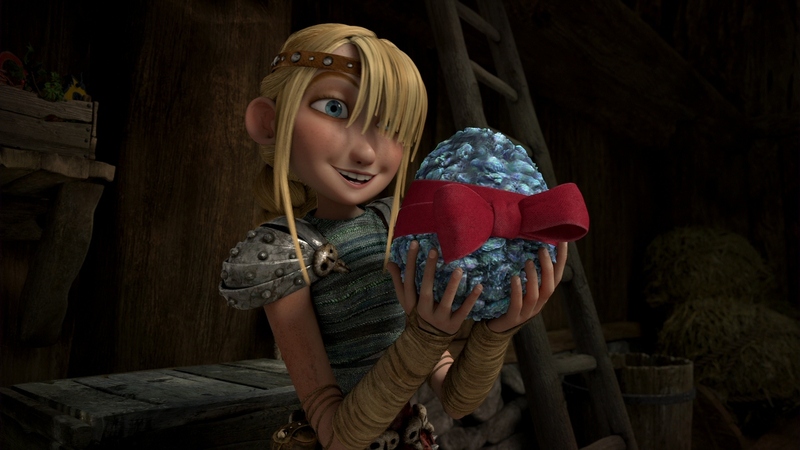 In the first film the thing in the shadows would become the embodiment of Viking tradition, watching Hiccup befriend a dragon and plotting to break them apart. But now we might actually use other night furies for it instead! So Test Drive was given lyrics, but New Tail deserved some, too. Why, there's even the "Cantabile" section on it (Cantabile="in a singing manner") according to the Alex Sheen transcription. And the sound is very emotional in some yearnful way that I can't yet describe. Along with whatever 90's film or sitcom is still on television, I've been discovering "The Wild Thornberrys". That's what I'm watching (online) while Dragons is off the air. And since The Critical Canucks already reviewed the Dragons episodes, I'll be considering Thornberrys for an alternate choice for a possible video-log review of episodes. That is if I can fix the audio recording on my laptop. I found out from watching these films that I'm more into characterization movies as opposed to plot-driven movies. As clichéd as the first film's story was, I was never bothered by it because they understood how to do the characters and make them "human". Showing how characters age is very tricky for a writer. And they took some risks by doing unexpected things. You see, rather than consult the 20-year-old age group, they decide to let Hiccup name a location "Itchy Armpit." Little tidbits like that add so much to ensure we recognize who he is and that he's still the same person. Dean understood this as he was aging up everyone. But a balance is also tricky to make right, too. And that's where following the test audience's recommendation to make Valka more non-villainous fell flat. So that's where characterization gets tricky. Watch for Toothless at the Macy's Thanksgiving Parade Tomorrow! Will it? Will time tell, or will someone else tell for a change? Ooh, and the first movie is actually playing on FX the exact same morning. It's rough. And we were trying to play a scratched Christmas movie during the first half, so if Toothless showed up before KISS and Adventure Time, I missed him then. Did they play a song for his appearance or was it a balloon passerby? Was it just the dragon? Thanks ya. Yep, I missed it. Wonder if any one was picturing themselves on it, seeing how this is probably the one time where Toothless flies unassisted. Watchers of the parade got to see Toothless fly without Hiccup! Well, wings are locked but even then he can only go up with the helium! Go Toothless! Ah, the wind in my... (shivering). Yup but his cameo in the parade was sensational. Timberjack and Thunderdrum are mentioned, yes. The dragons you listed are all there! It's so good! They even have an awesome animation of Cloudjumper hanging upside down which looks so cool. No Speed Stinger(Sorry, Velocity), Flightmare or Typhoomerang, though. Not even a Skrill! Guys! What's wrong with the Forum? I don't get what you mean. If it's a server issue (as in, the page is temporarily unavailable), then I had similar issues with msn.com. It might be one of those "everyone should be shopping" days which would make it ideal for the site runners to alter the webpage (less people are cut off from the site while they fix it, that way). I'm not sure if any changes are happening, but then again none of my computer's updates show any signs of having a point either. I don't know!!! : -( Something to do with the "site's configuration" or something. It's beautiful but please don't comment anything what is not related in this post. That picture-comment has nothing to do with HTTYD winning the award. That's actually not too far from my guess. Mildew is totally in the second movie!!!! At the end, when hiccup is helping fixing a house, pause when the camera is above them, you'll see the red headed version of Mildew!! WHAT? How did I not notice? I watched the movie, like, ten times already!...Wouldn't he be dead...? Well, it's only five years; I guess not. Does anyone know when the interview with Dane Stogner will be posted? *searches intensely* I SEE HIM! I was just about the ask the same thing. It says Cloudflare.com is not available, therefore the forumvine isn't either. I guess. Maybe it's under construction 'er something? I'm confused too. There was no announcement here or on any other social media accounts associated with this site or its owner about changes coming to the forum, and there's still been no official comment that I can find. The forum just suddenly stopped working for me some time around Friday or Saturday and never came back. I guess all we can do is wait until somebody in the know sheds some light on the situation. For those who might be experiencing problems with the forums at current time. (I am having problems logging on myself as well so looked around) Zeta boards which from last I heard is the software the forumvine uses is currently(or was) under ddos it would seem. On another note the CloudFlare thing seems to also be a decision by zeta boards as well. When it comes to the hosting of their software on their end(I think). All though this one I'm not 100% certain on so don't hold me to it. what does DDOS stand for? I've seen the movie three times on the big screen, but only last night did I see him! I should have looked more! Distributed denial-of-service attack. As far as a network is concerned which is what this attack is curently targeting. It means that you as a user could no longer have access to the site in question. Since it is being overwhelmed by a flood of information to clog it up and keep us the users of the site out. A link to the wiki since I'm by no means experienced in the topic. In the case of Zeta boards it would seem they suffered from these attacks, and have started to slowly set up CloudFlare to help better defend against these attacks now and in the future(From looking around a bit more). However when setting something like that up you can easily run into hiccups and so as it happens it seems the DNS error that we might be currently getting is one of those hiccups. Should be dealt with soon enough and we'll be back on soon enough bearing in mind nothing else comes up. Again though my knowledge in this is limited. So this is me assuming some things since I have no access to actual site information as far as the Forumvine is concerned. So i would wait and see what the admin might have to say if he decides to say anything at all. Is it weird I can see Hiccup singing this to his own daughter someday or Stoick singing this to Hiccup? I prefer the first option. This is freakingly awesome !! I love the idea too ! No way !!! Really ? Something about it reminds me of "Father and Daughter" by Paul Simon. Maybe the time this song came out, the underlying subdue nature, or the setting of the movie. Oh, and what you said about Hiccup and Stoic/ Hiccup and his future daughter, too. I'm am both intrigued and terrified by this. Mostly terrified. Half the video was like, "AH, wait! There's another one! Wait, yet another one! And another one!" Every time I watch this crossover, I realize more that I should watch Rise of the Guardians. I haven't seen it, but I've seen a youtube video of the movie mixed with a track from the "The Prince of Egypt." I just love seeing Hiccup and Merida together. "Your journey has only begun." I'm just saying, that I want that armor, or a female version of it. Plus that guy looks hot in it. Proving once again that Hiccup is hotter than Jack. Annnnnd I am back! Who am I kidding, no one here knows me. I haven't had a decent conversation with people for what, 6 months? Just want to know when we're allowed to sign up. Since crazy-born hath converse go? Thumbs up if the ending reminded you of the Ugly Stepsister from Shrek 2! *Tackles you in a hug* I missed you!!! I hated the Terrible Terror and never used it. I only got it to put in my collection, haha. But on to more pressing matters-Now that they've added new cards...oh, yesterday I think it was, I can't login! I don't know why! Ziggerastica, now you have to be my eyes and ears and tell me what the new cards are, because it's driving me crazy with curiosity. Me- Is it a Stormcutter? Is it a Bewilderbeast? Is it a Red Death? Aaagh! Sliquifier: Swims at supersonic speeds. Sword Stealer, Submaripper, Woolly Howl, Shivertooth, Groncicle and of course Grapple Grounder. Don't know much about these yet but I'll let you know when I do. They all sound like awesome dragons. I can't use Rise of Berk, School of Dragons, or that Story app due to fees and device requirements. I also can't use Netflix. I'm just hoping I get to see them in the show if there is any way to access it when it comes. Unfortunately I can't get in either. I'm stuck with the Monstrous Nightmare silhouette saying "loading" the sign-in. But now that new cards exist, It'll now take 500 DAYS to get that Toothless card and unlock the four prestigious ones. After typing this up, the page was still loading. Well, more like got stuck on the loading page while prematurely calling the page fully loaded. Hi Guys. any new post? Not yet. Anything on Secret Odin? I'm not sure how it works. I haven't been on here for ages, it was such a great surprise to come on and find out that HTTYD won an award and the secret odin is soon! I already have some ideas, i always love doing the snoggletog secret odin. Was it turned up to 50 cards or more when you found the news? When it turned to 50, 3 new cards were added to level 5 (not including the 4 prestigious locked ones). A Fireworm Queen, Hideous Zippleback, and...I forgot the fourth one when it lost to the Fireworm (either a Skrill or some non-Gronkle boulder-class, I think. Or sharp.) If those aren't it, then I can only tell you nothing new at the moment. Parents are destroying my life, not electric devices and no going out with friends. This is why I hate the Christmas holidays. Wish I can see you in person. It was 4 months ago.... Meh. Close enough. Yup, some retard decided to DDoS attack the forum host. Me too. :) Last year I couldn't participate (cause' my mom said I was too young) but this year I'm gonna try my best to join in the fun with the rest of you. :) I'm so excited! I don't know if I've ever spoken to you, but WELCOME BACK! Yeah, it's so much fun! I got the coolest gift last year, you'll really enjoy it! I already have a few ideas ;) i hope the entry forms come out soon i can't wait to get started! My parents would freak if I even left home. Hahaha, very true, very true. I don't know whether to cry or laugh. What's season three going to be called? One year ago, on the last Secret Odin, and today. Improvement? I don't know XD I can't wait for this year's Secret Odin!